Bighorn Canyon National Recreation Area was established by an act of Congress on October 15, 1966, following the construction of the Yellowtail Dam by the Bureau of Reclamation. This dam, named after the famous Crow chairman Robert Yellowtail, harnessed the waters of the Bighorn River and turned this variable stream into a magnificent lake. 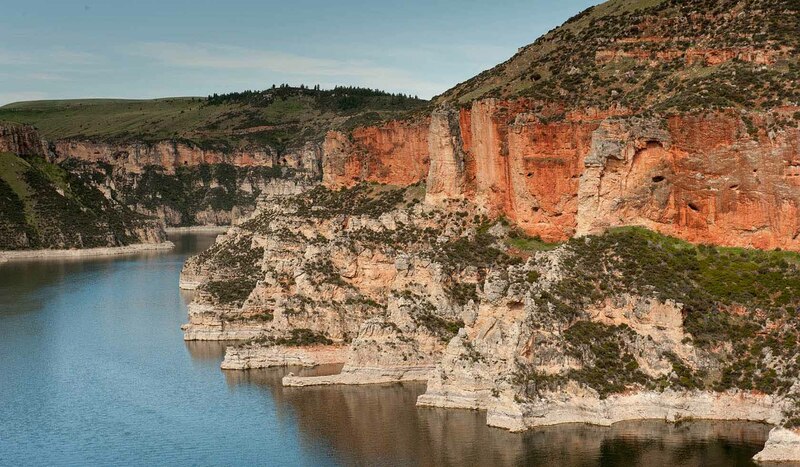 Bighorn Lake extends approximately 60 miles through Wyoming and Montana, 55 miles of which are held within spectacular Bighorn Canyon. The Recreation Area is composed of 70,000+ acres, which straddles the northern Wyoming and southern Montana borders. There are two visitor centers and other developed facilities in Fort Smith, Montana and near Lovell, Wyoming. The Afterbay Lake below the Yellowtail Dam is a good spot for trout fishing and wildlife viewing for ducks, geese and other animals. 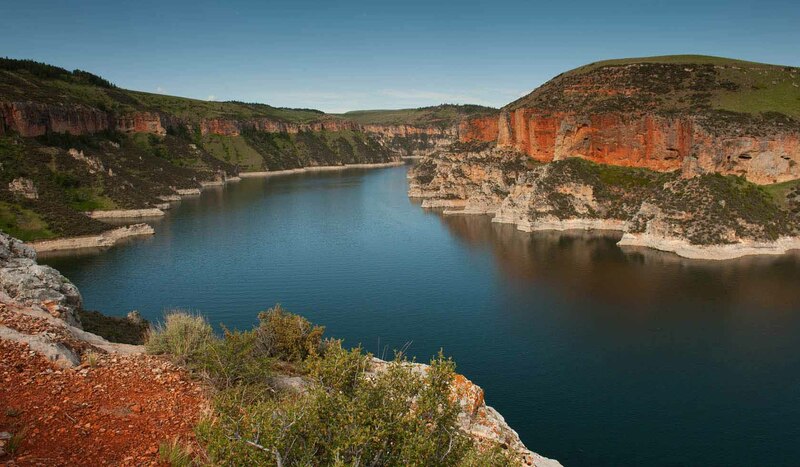 The Bighorn River below the Afterbay Dam is a world class trout fishing area. 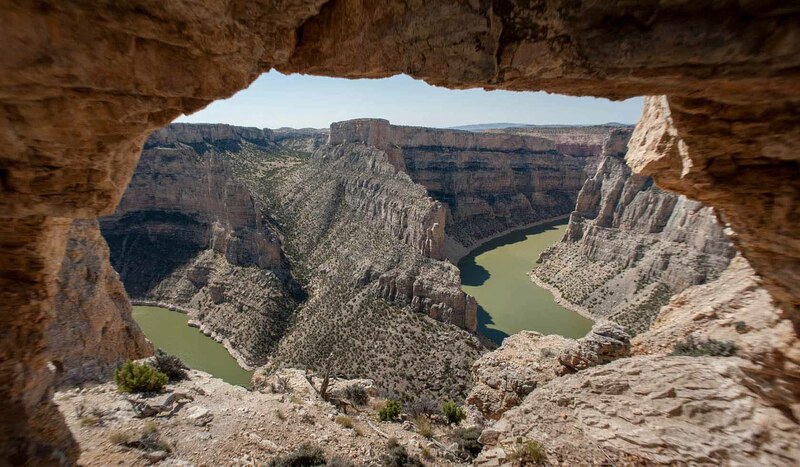 Bighorn Canyon National Recreation Area is a lesser known treasure waiting to be discovered. It boasts breath-taking scenery, countless varieties of wildlife, and abundant recreational opportunities, such as boating, fishing, ice fishing, camping, and hiking. Bighorn Canyon offers visitors what few other National Park areas can, that of solitude, serenity, and beauty. In the midst of our chaotic world, this is a truly unique quality. The Bighorn Canyon National Recreation Area North Entrance - Fort Smith, Montana - Take Interstate 90 to Hardin, Montana. Turn on Highway 313 traveling 40 miles south to Fort Smith, Montana and the North entrance. South entrance - near Lovell, Wyoming - From 14A turn north on Highway 37, continuing 9 miles to South entrance.